Because who doesn’t love Christmas? 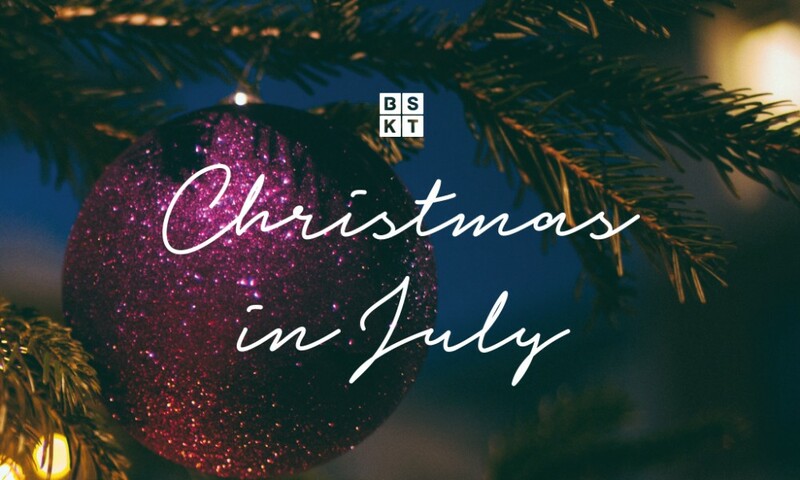 If December feels too far away, then we’ve got you covered with BSKT Christmas in July event Friday evening 28/07/16. Experience all that is Christmas in winter, just like our Northern Hemisphere. Yes, this includes all the things you love about Christmas including Santa for the little ones, hearty roasts and delicious drinks for the adults. 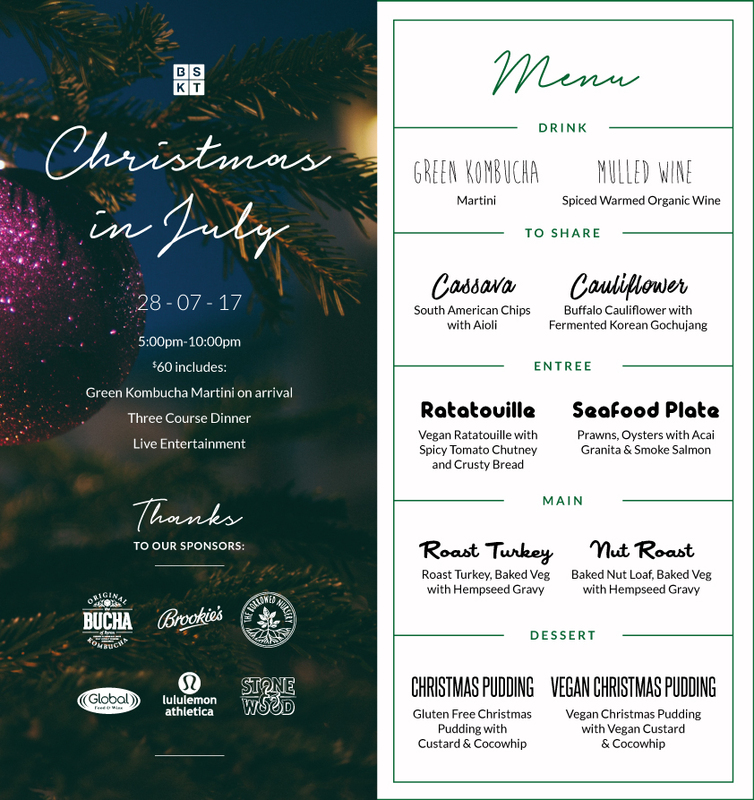 See our Christmas in July menu below and remember to include any dietary requests.